Facebook Marketing Tips For Beginners. Social media marketing if properly done can be a free and innovative channel to win your business positive press and to “get the word out” about who you are and what you do. Facebook just like any other social media aspect could harm your business if not properly used. Image consistency is what matters for your products and services. With Facebook ads, your business can hone in on that perfect customer and provide new and valuable offers without adding any financial costs. The advertisement formats draw their content exclusively from posts to brands’ Facebook pages, instead of written advertising copy from the advertisements. Pricing is based on a cost per thousand impressions (CPM) and ad spots will be sold via third-party vendors. Finally we are inviting Kenya's most social brands to be part of the social media revolution in Africa. This is one great opportunity for brand managers to position their brands as 'social' brands that seek to connect with Kenyans to a deeper level and get their relationship with consumers intimate! The tremendous growth of social media in business and communication in Kenya has necessitated the formation of social media clubs dubbed (SocialPro clubs) in universities across the country. 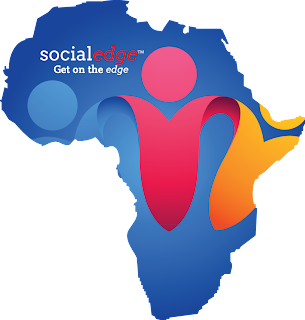 Social Edge Africa; a social media consultancy company that offers a 360 degrees approach to social media seeks to revolutionize how brands engage and interact with their communities on social media. These clubs will bring together different social media enthusiasts, speakers,lecturers, bloggers, industry experts, digital agencies and organizations who have immensely contributed to the growth of social Media in Kenya. SocialPro clubs will also create a platform that will enhance product and consumer engagement through creativity and innovation. The tremendous growth of social media in business and communication in Kenya has necessitated the formation of social media clubs dubbed (SocialPro clubs) in universities across the country.This idea was conceptualized by Social Edge Africa; a social media consultancy company that offers a 360 degrees approach to social media seeks to revolutionize how brands engage and interact with their communities on social media. These clubs will bring together different social media enthusiasts, speakers,lecturers, bloggers, industry experts, digital agencies and organizations who have immensely contributed to the growth of social Media in Kenya. SocialPro clubs will also create a platform that will enhance product and consumer engagement through creativity and innovation. To start with, we shall not be forming social media clubs in campuses but we shall work with already existing marketing& PR clubs jointly during the pilot phase. After the pilot phase we shall roll out this programme across all universities in the country in partnership with university administration, students and the government with the support of corporate sponsors who believe in the potential and future impact of social media on their businesses. 1. Discover the best and newest ways to market with Facebook, Twitter, LinkedIn, blogging, video marketing and social bookmarking sites. 2. Learn how successful social media campaigns were executed and how to achieve similar results. 3. Learn how to creatively engage and grow a loyal following on social media. 4. Create awareness of the realities, opportunities and requirements for the various disciplines of social media. 5. Learn how to integrate social media activities with other marketing efforts. 6. Promote innovation, enhance collaboration between universities, tap creativity and inspire development. 7. Certificates of participation will also be offered to the participants. 8. Learn about personal branding on social media, social media etiquette and how to engage professionally on social media. 9. Network with top industry professionals, agencies and firms. 10. Help students understand the opportunities available & careers on social media. 11. The students will also engage, share and interact with brands and learn from their successes, challenges and failures on social media. 12. Lecturers will learn how to integrate various social media platforms into their teaching. 13.Lecturers will learn how to create and share content on social media. 14.Lecturers will also learn how to creatively engage, get feedback and connect with their students on social media. Through participating in this launch and the roll out of these clubs corporate sponsors stand to benefit in many ways; being part of the social media revolution and that will position your brand as a social brand that connects with Kenyans! Want to know more about how you can participate? Send me an email to Muthurikinyamu@gmail.com and I will be happy to give you more details. Meanwhile start using #BeASocialPro on guys and companies messing, doing things the wrong way hence annoying you, brands that don't respond to your inquiries and those with inactive twitter handles etc. Share social media tips, help other learn how to engage, stop spamming you, tag you on photos and those that post alarming remarks on their tweets. On the contrary give #SocialPro for those doing a good job. Guys who clearly understand social etiquette, personal branding, those who respond in real time and brands that give you amazing customer experience on twitter! Do so for those who share useful links with others and people that share useful information on what's happening! Social media is really a great way to connect online, build relationships and close deals. However spending the whole day on social media doesn’t make business sense at all. Today we all tend to justify the time spent on social media as a business activity just to salve our conscience. Could be right to those who engage wisely or are paid to tweet or post however spending too much time on social media could only mean that you aren’t doing a few other important things you’re supposed to be doing. Could be studying, working, going to church or just focusing or concentrating fully on a simple task that requires your attention. To put a few activities into perspective let’s check in on our social media and digital activities for signs of addiction and obsession by asking some pertinent questions. When you leave your iPhone behind at home do you feel a sense of loss and isolation because you can’t check your Facebook or Twitter updates while out and about. You can check your Facebook account 20 times a day. If you don’t receive a comment on your latest blog post within 12 hours you have suicidal thoughts! You go away for a weekend without your laptop and you suffer severe heart palpitations? You have more social media icons on you iPhone than productivity apps? You have more online friends than you have in real life! You Tweet on your mobile while walking! You reply to tweets or posts before checking your smses or returning missed calls? You log on to Facebook before you have brushed your teeth in the morning. You check your Facebook or Twitter updates ‘after’ going to bed. Let’s face it; social media is here to stay, some of us make a living out of this new emerging industry while to others social media could cost them big time. To the HR social media poses a challenge, it’s reducing the productivity and efficiency of their staff! Employees are happily spending huge amounts of their day on social media while working. Could be on the desktop or on phone; we’ve got social media with us in our pockets. 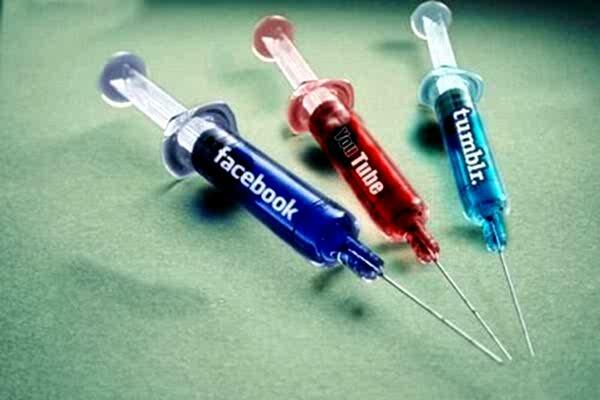 This could mean having no real life to you or to others simply not doing anything without facebook or Twitter. Just how do we ensure this addiction is well taken care of? How do we control the urge? How do we ensure our employees do not waste valuable company time freely chatting online? Here are a few tips that will help you manage your time better. Social media power users don’t spend all their time online. In fact, they’ve created a schedule based upon their routine. Maybe you tweet in the morning, at lunch, during breaks and in the evenings. Use a timer to keep you from spending all of your time on social media. Having a schedule ensures you stick to it, you may also have your colleagues, spouse or friends to check on you to ensure you stick to the schedule as accountability partners. It may be tough to manage at the beginning but in a world where everyone has 24 hours in a day to make it or break it in life its worth trying out. The tools discussed below will help you spend less time on social media. If used well these tools could make you more efficient and boost your productivity. Buffer – If you tend to do all your tweeting in bursts, you probably are losing some traffic. Use Buffer and you’ll have a more balanced tweeting schedule throughout the day. The best thing about this tool is you never have to spend hours on Twitter, just post and buffer all the tweets you want to share that particular day, indicate the time you want the tool to post and you’re done! Tweepi – If you’ve got a Twitter account where you are following too many people and want to clean up the mess, then Tweepi can help you. It flushes the unfollowers, cleans up the inactives and nudges you to follow new users. The beauty of this tool is that it helps you save time on ‘following back’ tweeps! TweetDeck – This free app is probably the best Twitter app across any platform—iPad, iPhone, Mac, or PC. But what makes it really stand out is it allows you to swipe between columns…speeding up access to DMs, replies, lists and search lists. Echofon Pro – This is a great app for the iPhone and it is equally great for the iPad, providing everything that makes an app great, plus a feature that allows you to respond to multiple tweets with one reply (That could save you quite sometime especially when responding to similar question eg where your office, event or dealer locations) Whether that’s worth $4.99, you’ll have to decide. One thing about using social sites like Twitter is that you don’t get to take the content. A smart social media user recognizes this, and so doesn’t invest all of his social capital on one platform, but other sites as well. How does this help reduce addiction? Depending on how old you are LinkedIn might be boring to you, Twitter could be annoying if you’ve followed 1000 people and you only have 100 followers so most social media users spend a lot of time on Facebook doing nothing much! If you’re addicted to Facebook, get into Twitter, in the first few days you’ll it rather annoying but it helps you reduce on the urge to go back to Facebook.